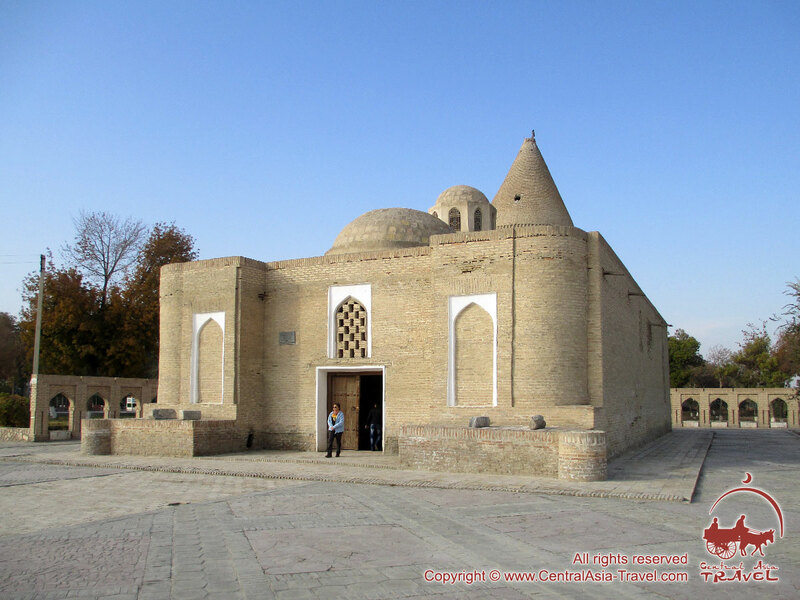 Chashmah-Ayyub Mausoleum (also spelled Chashma-Ayub) is a cult historic building with a sacred spring in the center of Bukhara. 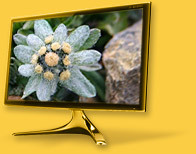 It was named after the saint Ayyub, known as Job in the Bible. 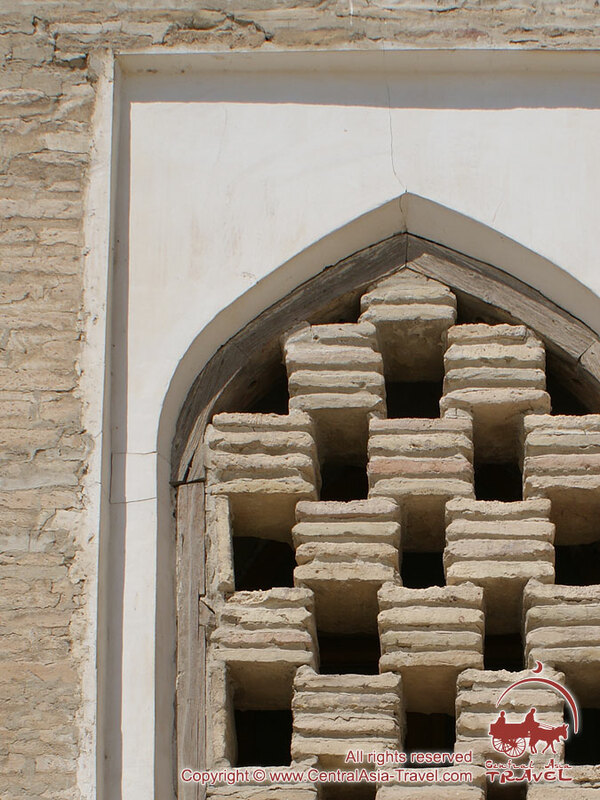 According to legend, the people who lived where Bukhara grew afterwards were dying of thirst, for water had left the area. When they saw Job wandering there, they asked him to help. Job hit the ground with his staff, thus opening a spring with clean and healing water. The local people still believe the spring water is healing. 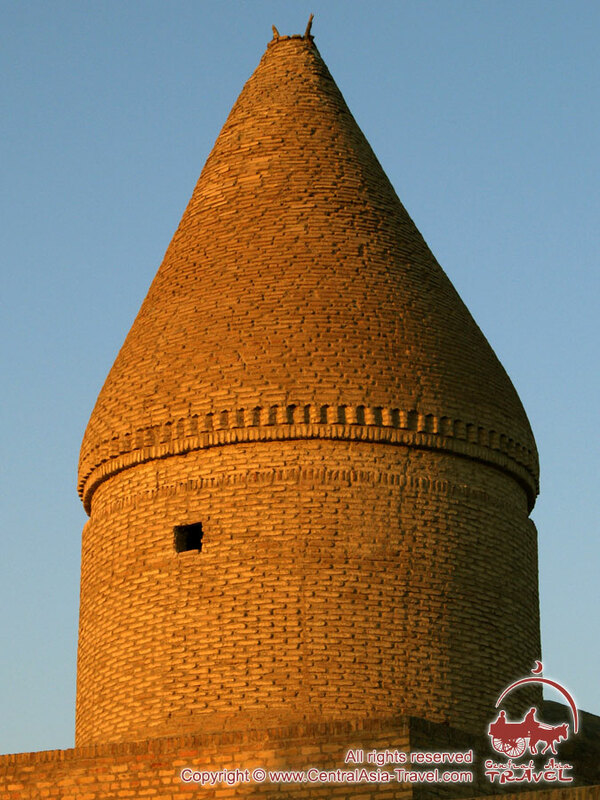 The mausoleum was built right over the spring, not far from Ismail Samani Mausoleum and the ruins of the ancient city wall. The structure is crowned with domes of various sizes. 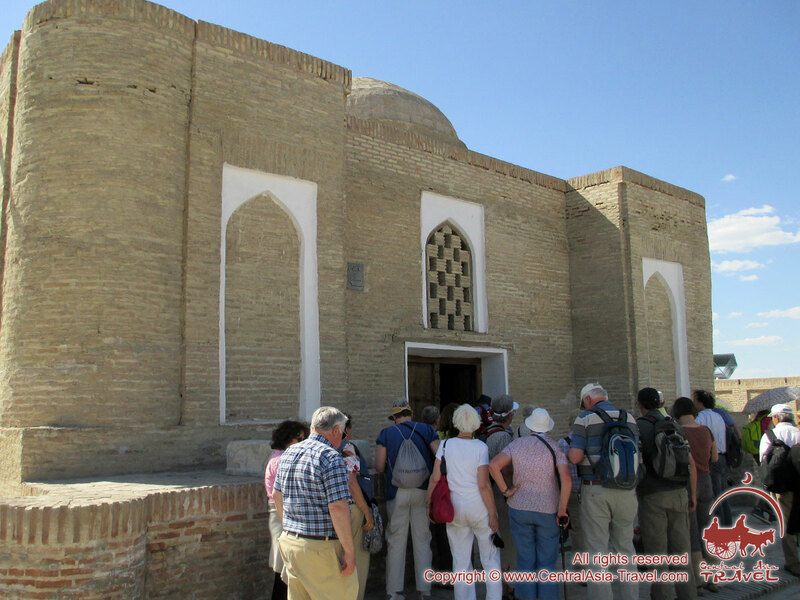 The central double-dome over the main chamber features a tent-like top, which is uncharacteristic of Bukhara. 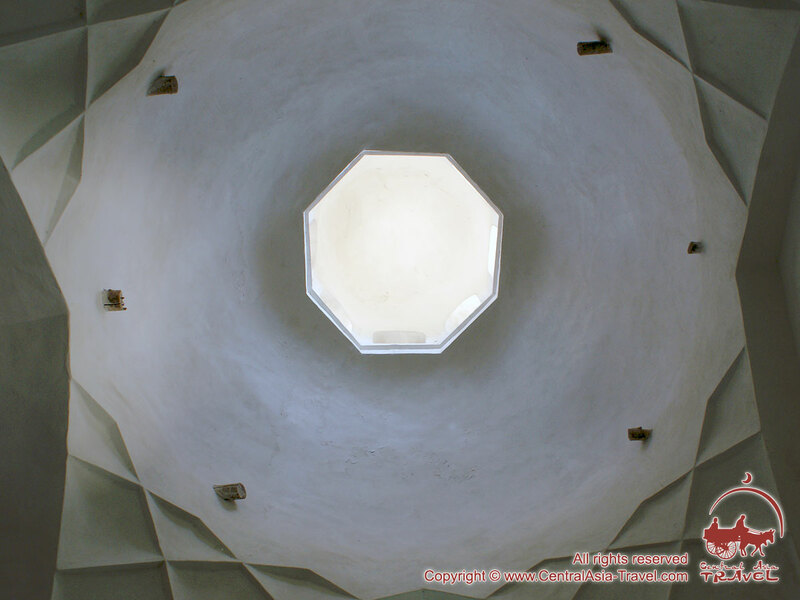 The smaller chambers under the rest of the domes are dim and charmingly mysterious. 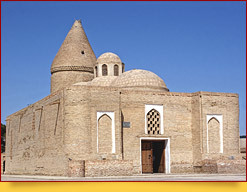 The mausoleum was built in the 12th сentury during the reign of the Karakhanids (also spelled Qarakhanids). 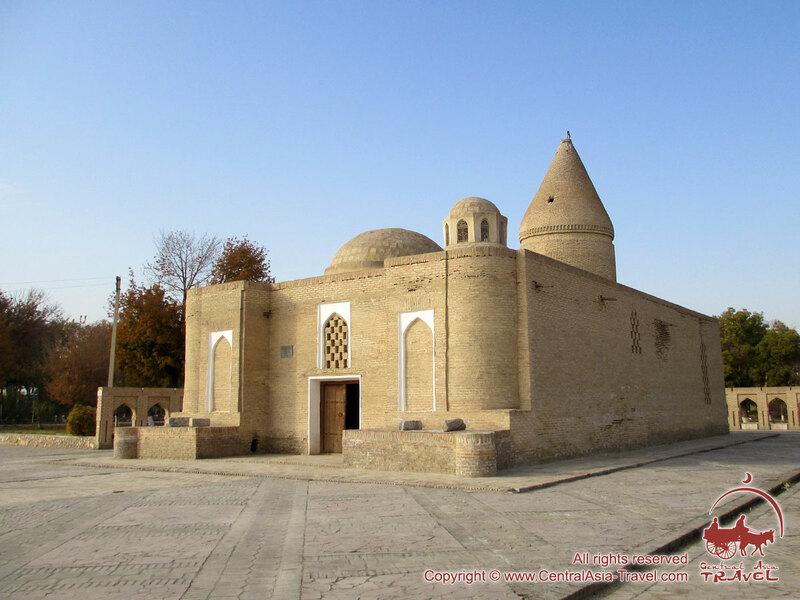 Two centuries later Tamerlane brought master craftsmen from Khorezm and ordered them to extend the building. 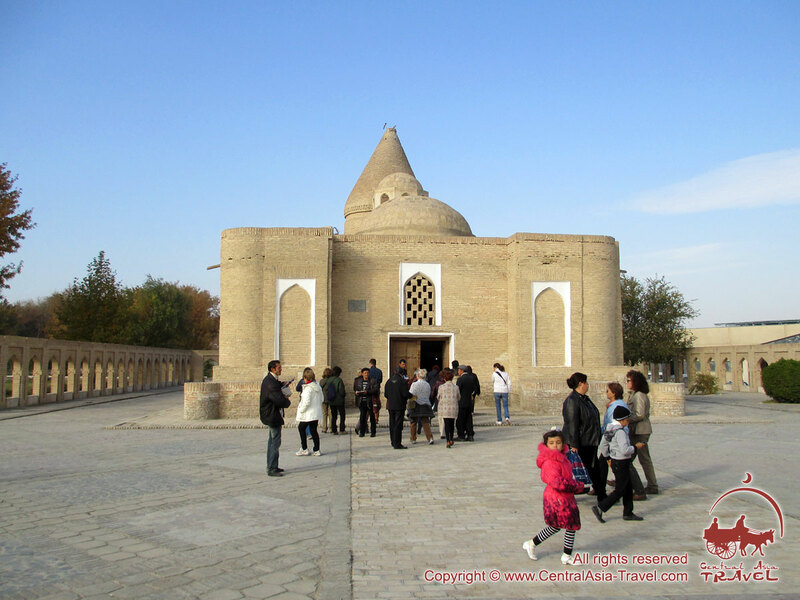 That was why the mausoleum has characteristic Khorezmian architectural features. During the 14th - 19th с the building was reconstructed several times. There are a few graves in the mausoleum. The earliest of them is of the famous expert in hadith, theologian and author of historical treatises Hajji Hafiz Gunjori. 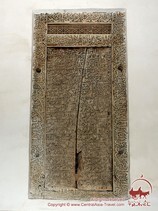 He was buried there in 1022. 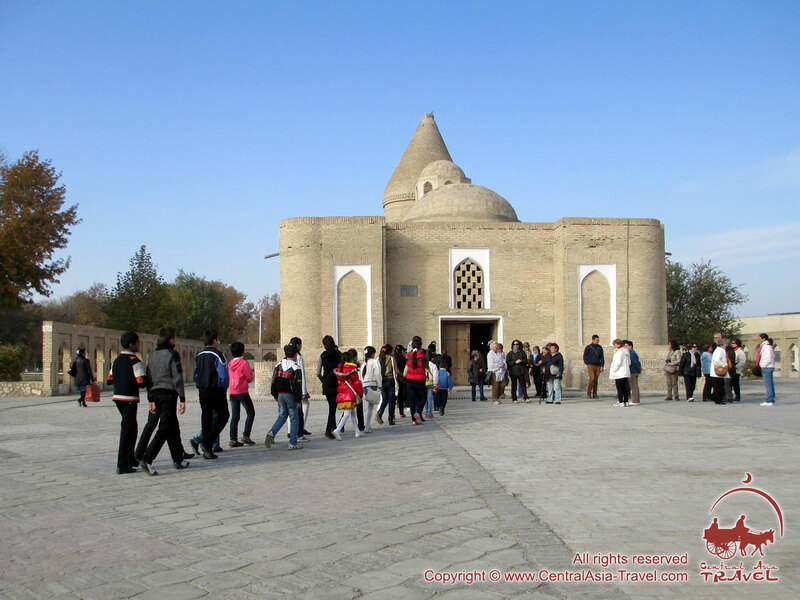 Today the mausoleum houses Water Museum and Carpet Exhibition. 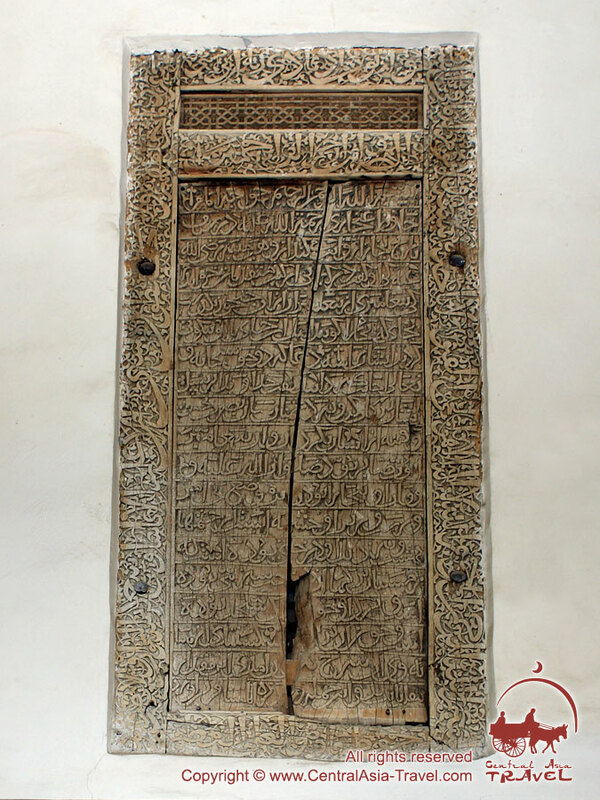 The museum exhibits deal with the history of Bukhara region irrigation and water supply. Among them stand out the ceramic water pipes dating back to the 18th - 19th centuries, copper water containers with chased designs and leather water bags dating back to the 19th - 20th centuries. 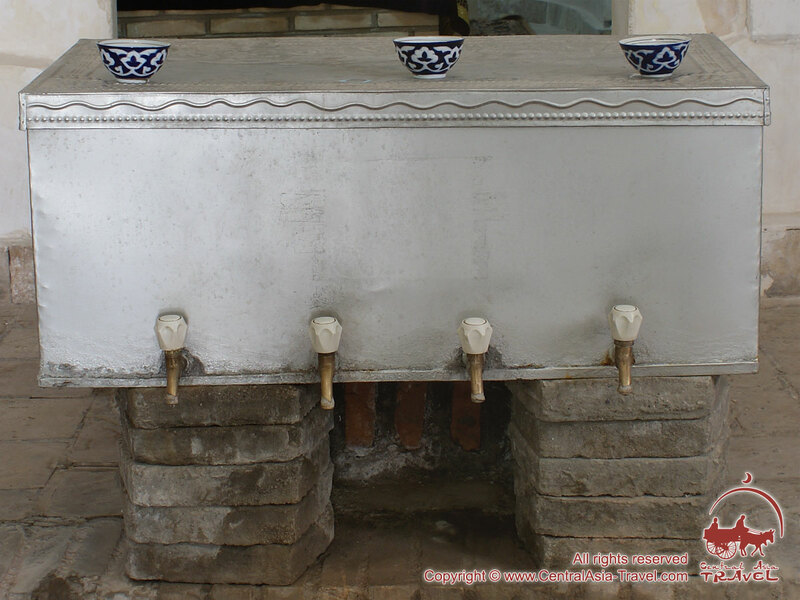 Once you get to the mausoleum, you must try the clean crystal water of the spring. Saint Ayyub will never forget you and give you better health then!